We can make light work of organising your events at Rylstone Aerodrome Airpark. With enough space for 200 or more aircraft to fly-in for the day, or tie down overnight, your event at Rylstone Aerodrome will be something talked about for years to come. Located just 3 or 4 minutes from the charming township of Rylstone, there is a range of comfortable and reasonably priced accommodation in town and the two pubs and other cafes, restaurants and facilities all combine to make for a memorable and successful event with a difference. We can organise BBQs and dinners for your group, visits to the nearby Mudgee wineries, golf at the Henbury or Mudgee Golf Clubs etc. Forthcoming events at Rylstone Aerodrome Airpark. Lock in the weekend of May 17, 18 & 19 2019 for the annual Rylstone Airpark’s ‘Celebration of Aviation’ Weekend! Promising to be BIGGER and BETTER than ever before! Paul Goard’s The Airshow Company sensational Aerobatic Display which will WOW the crowd with their terrific airshow aerobatic routine. Paul’s head spinning fleet includes Australia’s sensational medal winning Sukhoi 26. Dan Compton’s always impressive Wings out West American Legend Aircraft Company Cubs. Rob Mangan and SkyFuel will be on site with a newly installed AvGas Jet A1 fuel facility. 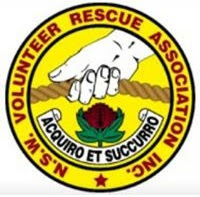 The Rylstone Volunteer Rescue Association will once again be dishing up our fantastic BBQ steak sandwiches for everyone to enjoy. We’re looking forward to welcoming you all on the day. Feel free to bring family and friends. The Inaugural Annual Rylstone Aerodrome Airpark ‘Celebration of Aviation’. Rylstone Aerodrome’s inaugural ‘Celebration of Aviation’ Fly-in & BBQ on Saturday May 19, 2018 was an incredible success with over 2000 participants and 104 aircraft flying in on the day. A major highlight was Paul Goard’s famous, sensational Freedom to Fly Aerobatic Display Team which wowed locals and travellers alike. The crowd was treated to a terrific aerobatic airshow routine featuring Australia’s sensational medal winning Sukhoi 26. Exhibiting Aircraft on the day included Gary Spencer-Salt’s extraordinary Tucano Rs (Australia’s first) and Dan Compton’s Wings out West American Legend Aircraft Company Cubs. Rylstone Aerodrome thanks the community of Rylstone for turning out on the day to support the growth of the Airpark and also The Rylstone Volunteer Rescue Association who once again served up fantastic BBQ steak sandwiches for everyone to enjoy. Rylstone Airpark is also grateful to AOPA for its ongoing support. Orange Aeroclub fly-in and Rylstone Yum-Cha lunch. The Aircraft Owners and Pilots Association of Australia (AOPA) held their first regional board meeting at Rylstone Aerodrome Airpark on Saturday, 10th December 2016. In addition to AOPA members, the invitation was open to all members of the aviation community. The Rylstone Volunteer Association put on a BBQ lunch and Pilots and aircraft owners participated in an open forum, discussing the many challenging issues that face our industry. AOPA were so impressed with the success of the day at Rylstone that they plan to schedule more such regional meetings and events. 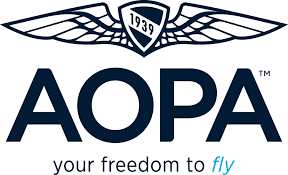 We look forward to welcoming AOPA again in the future. 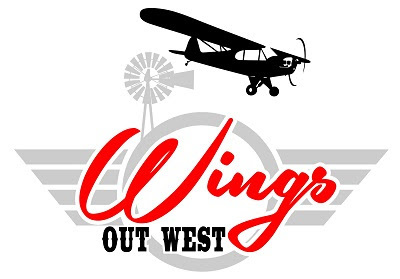 Wedderburn club members held a successful annual Christmas gathering at Rylstone Aerodrome Airpark which consisted of about 15 people and with 7 aircraft flying in on Saturday 19th for a Yum Cha lunch at Rylstone townships famous 29 nine 99 Yum Cha restaurant. A great day was had by all. The Rylstone Aerodrome Airpark Community look forward to welcoming the Wedderburn aviators again and again in the future. Rylstone Aerodrome Airpark Fly-In BBQ and Hangar Dinner with special guest speaker Michael Smith. On Saturday 14th May 2016, 45 aircraft flew into Rylstone Aerodrome Airpark to attend a fly-in and open day, attended by now fewer than 120 people. Attendees enjoyed a BBQ lunch, a spectacular RC aerial display and were able to view some remarkable flying machines. Later that evening 100 guests enjoyed sunset drinks on the apron of one of the newly erected hangars followed by a sumptuous three course catered dinner inside the hangar. Special guest speaker, Michael Smith captivated the audience with his amazing account with accompanying slide show of his record breaking solo world circumnavication in his two seat Searey Amphibian aircraft. The evening was an outstanding success and the Rylstone Aerodrome Community looks forward to hosting many more such events into the future.